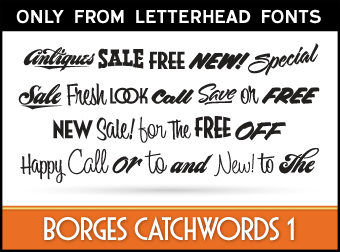 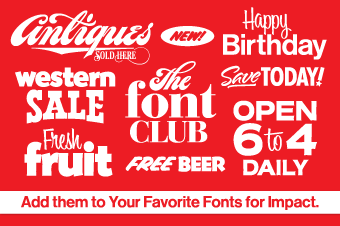 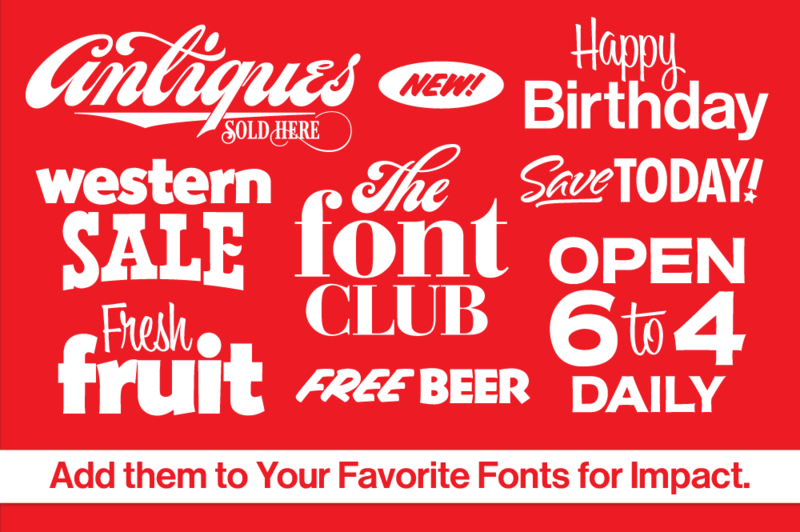 Only from Letterhead Fonts: Set of 26 catchwords crafted from several of Charles Borges' fonts. 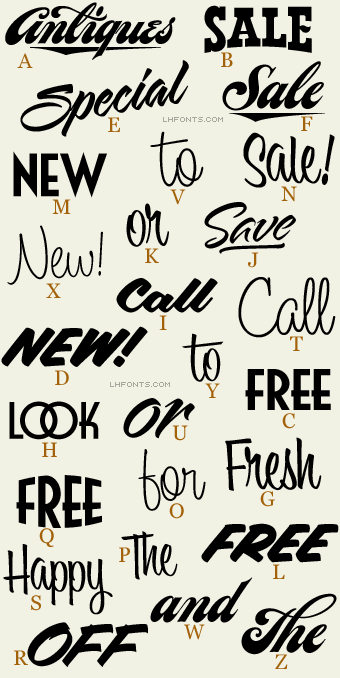 Each letter corresponds to an attention grabbing word, ready to be placed quickly into your designs. 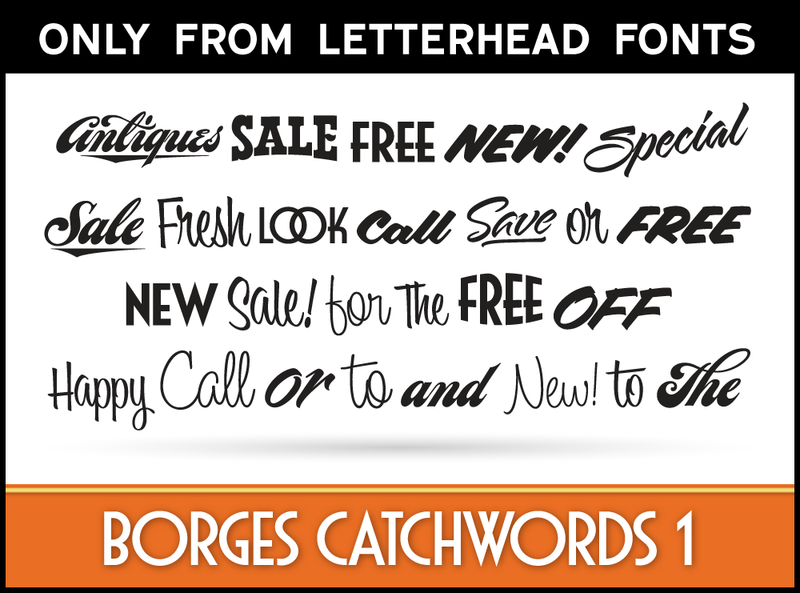 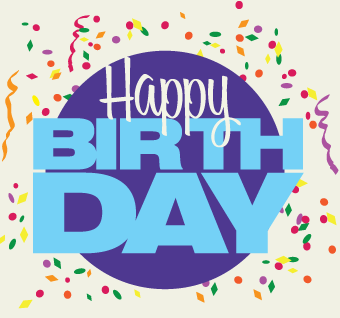 Get this font free when you download any Charles Borges font.